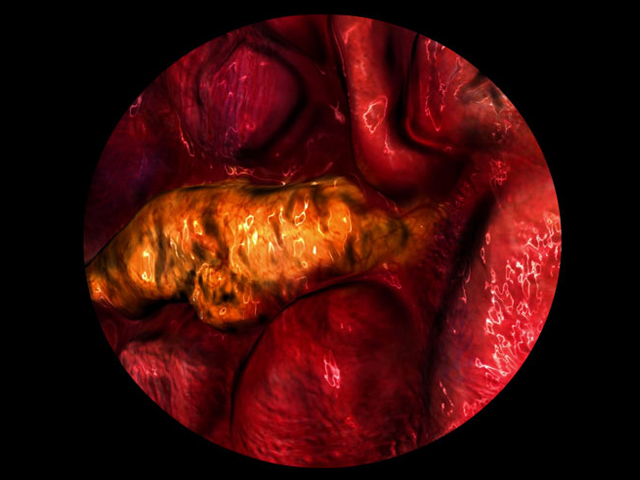 Framed as a series of oversized endoscope or colonoscopy videos - The inner body is represented as an alien planet, unexplored as an unknowable zone of otherness. The inner space of the body as alien terrain. The inner body is often unseen, off limits and hidden from view: the inverse to the over visibility of our exterior selves. Fleshify the World: Planet of the Inner Body is a work that revels in the strangeness of our messy and wet interiors.